High traffic count with great visibility. Approx. 1.55 acres with two tax lots. CC zoning allows for many uses. Improvements include 3,885 sq. 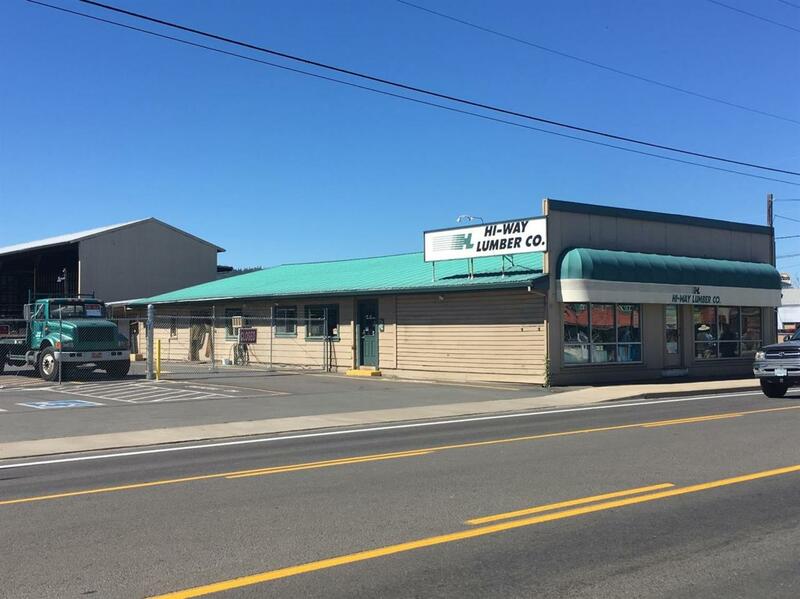 ft. office space and retail area, covered lumber racks (9,131 sq. ft.)(many other uses could apply), asphalted, and fenced. Huge development potential!